Antoine Griezmann scored one and set up another but could not prevent Atletico Madrid tumbling out of the Copa del Rey as Girona progressed on away goals after a thrilling 3-3 draw. Real Madrid and Sevilla each avoided upsets on Wednesday, their first-leg victories proving enough despite losses to Leganes and Athletic Bilbao respectively. Defeat for Real, however, means they have now won only two of their five matches this year while Santiago Solari’s frosty relationship with Isco shows no signs of improvement. Isco started, but struggled, and was replaced in the 68th minute. 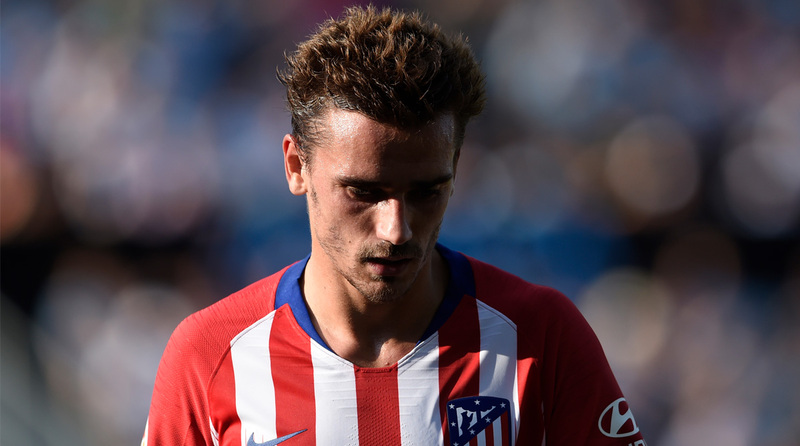 For Atletico, Griezmann came off the bench in the second half and turned the tie in their favour on Wednesday, teeing up Angel Correa and then scoring himself to give his team a 3-2 lead at a rocking Wanda Metropolitano. Saul Niguez hobbled off, replaced by Rodrigo, and Girona pulled ahead. Atletico were too generous in giving Stuani space at a free-kick and he nodded in Aleix Garcia’s cross with ease. The ball had hit the net in the 59th minute and in the 61st, Griezmann entered the field. In the 65th, he set up a goal, Kalinic letting his team-mate’s pass run but doing enough to distract Girona’s defence. Correa nipped in and finished. “We got through but the performance was weak,” Solari said. His team now turn their attention to Saturday’s crunch La Liga game against Sevilla, who slipped to a 1-0 defeat at home to Bilbao. Gorka Guruzeta scored the winner for a rejuvenated Bilbao side but Sevilla still progress 3-2 on aggregate.